Conley: Hi! My name is Conley! I am an engineer at a software company in California. You probably can't tell by looking at me, but I'm part Filipino! My lolo lives in Metro Manila. A couple years ago, I visited him in the Philippines for the first time. 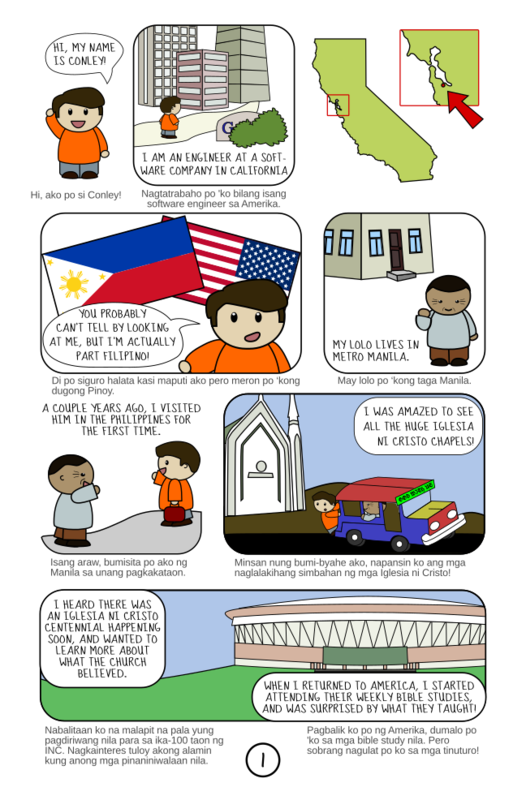 I heard there was an Iglesia Ni Cristo centennial happening soon in Bulacan, and I wanted to learn more about what the church believed. When I returned to America, I started attending their weekly bible studies, and was surprised by what they taught!